CE Massage created a 'live' Software platform for any Massage Continuing Education Provider, School, or Presenter to register and advertise their live, in-person classes. All payments from students for class registration are processed through Stripe® as the payment gateway. During registration with us, you will either sign in to an existing Stripe® account or register for a new Stripe® account. For the most part, you are automatically accepted as a merchant with Stripe® (Stripes' Third Party Terms and Conditions apply). At some point after registration, you will provide Stripe® (not CE Massage®), with your banking information so you can get paid. It is your responsibility to establish your own bank account and set up Stripe® for any payment type. All of your class tuitions will be direct deposited into your bank account. Everything Pro Provider has plus Unlimited, Premium Class Postings! No per class listing fee (its already included, normally $49 per-class). Process phone orders via a virtual terminal within your account. Get your own microsite such as class.cemassage.com for SEO and students to find you. For each student registration, CE Massage receives a $25 processing fee out of the tuition. Receive an official provider listing certificate from CE Massage for wall posting and a provider logo for your website, brochures, and cards. You will have to pick a class listing type There are two options; A basic listing for $0 or a Premium Listing for $49 per class listing and date. Regular account with the ability to publish courses. You can login to your account to view rosters. This is a per year fee. There are two options; A basic listing for $0 or a Premium Listing for $49 per class listing and date. Edit content on your microsite like images, text, etc. The microsite gets indexed in Google, Bing, etc. Published courses are automatically entered on your microsite. You can log in to your account to view rosters. You can have sub-admins login and view rosters. This is a monthly billing option. There are two options; A basic listing for $0 or a Premium Listing for $49 per class listing and date. Provider accounts are different then class postings. For individual class postings, there is a Free option, as well as a Premium Option. Each premium class is $49, unless you purchase an unlimited, all-inclusive plan, such as our $49.99 per month plan. Each class has a $25 fee per student upon registration; regardless of whether the provider plan is Free or Premium status (this fee is taken out of the student tuition). After registering for a provider account, you will be able to add each one of your classes. All fees and plans are non-refundable for any reason whatsoever, and you agree to this. 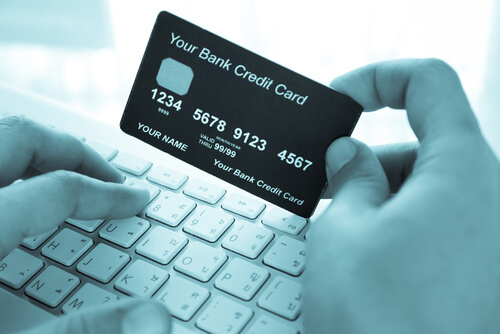 Take credit card information from students within your online account. Download the roster for your class as an excel spreadsheet. Easily find your classes that are currently active or inactive. Find a specific of yours or a student on a roster. Get paid via Stripe. You can manage everything with Stripe including bank account direct deposit. Receive a CE Massage Listing Provider certificate that you can frame with your provider listing number. 1. What am I signing up for? If you are a continuing education provider, you would be creating an account that enables you to list your live, in-person classes on CEMassage.com. CE Massage® has numerous requests each day as to where to find live, in-person classes, so we created this is the new platform for you to use. The great benefit is we have both paid and free options, so it is completely up to you. Our most popular plan is the $49.99 per month all-inclusive plan, including a Microsite and Unlimited premium class listings each month. 2. What are the fees? 3. Is CE Massage® a Bank or Money Services Business? We may use Stripe® Payments, Stripe® Connect, and Stripe® Relay, collectively called “Stripe® Services”. Stripe® and/or CE Massage® is not a bank or a money services business. 4. Do I have to have a Stripe account? 5. Can I use my Stripe® account “outside” of CE Massage® software program? The answer is Yes. You create and control the Stripe® account, so you can use it in your own business practices and events outside of the CE Massage® software program. 6. Can I process payments myself for students? Yes, you can. Within your Provider account on CE Massage, you have a place where you can process a student’s payment yourself and have them added to your roster. So for example, say a student calls you and wants to register; you can easily process the order via a virtual terminal within your account. 7. Do I have to send you my resume? No, you do not. CE Massage® Live is for already approved continuing education providers. This service allows you to advertise your current class listings. Therefore you are in charge of your business and this is a platform for you to list your live classes. 8. Do you approve CE Providers? No, we do not approve CE Providers. Our platform is custom software that is for providers to list their live classes that are already approved through another organization. CE Massage® is not the organization that pre-qualifies or approves the quality of the class or provides licensing credentials. 9. Do you issue certificates? No, CE Massage® does not issue certificates for the LIVE division. CE Massage® is the advertising software platform, and at this time does not have any online storage or generator for certificates issues by you, the provider. 10. What if a student needs to cancel or reschedule? This is going to be up to you and your business practices. If a student needs to cancel or reschedule they would contact you and depending on your policies is how you would respond. Many providers will reschedule the student and the majority of providers have a no-refund policy. 11. What if a student wants a refund? This is going to be up to you, as the funds from the student, go directly to you via Stripe and not through CE Massage. If you want to issue a refund you can do so within your Stripe account. 12. Are CE Massage® fees or listing fees refundable? Currently, CE Massage® has a no-refund policy, so absolutely no fees, listing fees or anything paid to CE Massage are refundable. CEMassage.com/live is a listing platform, and is not an advertising firm/agency. We make no express, implied or guarantee to the amount of traffic/visitors a listing will receive nor the amount of registrations a listing will have, nor the advertising methods that CE Massage may or may not use. CE Massage may periodically post a listing or microsite link on social media, however, not all listings or microsites will be posted and it is at the sole discretion of CE Massage. 13. What are Stripe’s merchant fees? You will want to check their website for the current fees, pricing and transfer/deposit schedules. 14. Will I get some type of tax document? Most likely, if you meet the requirements (based on Stripe) you may receive a 1099-K for payments that were processed to you. You can also download all of your orders and fees to QuickBooks within your Stripe account (Login to Stripe, click ‘Account Settings’ and the ‘Data’). 15. Can I download my orders to QuickBooks? Within Stripe you can download all of your data to QuickBooks. To access this you will login to your Stripe account and click ‘Account Settings’ under your name on the top right. Once there click ‘Data’ and you can access the download for QuickBooks. 16. Can I write off CE Massage’s fees on my taxes? You would want to contact your accountant for exact details as CE Massage is not an accountant, but generally yes. Many people may classify it as an Advertising Fee. Yes, My Business is successful! Upgrade my order! This 'live' division is not about us, but about you as a Provider, School, or Presenter using our technology and platform to help students and professionals find you. We have spent hundreds of thousands of dollars to enable you with the ability to control and potentially increase your income, build your reputation, and grow your business at a rapid rate, whether or not you are a new or experienced Provider, School, or Presenter. Don't delay: grow your business TODAY! You, the provider, register and sign up for an account with CE Massage (plans below). As part of the CE Massage Provider registration, you will either login or create a Stripe account (this is how you will get paid). Don't worry, just follow all the prompts during registration; you do not need to be tech-savvy. Create a class listing with dates, pricing, location and details. Students find your class, view the details and click ‘Register’. The student completes the registration process on CE Massage. Payment gets processed through your Stripe account. You and the student will receive an email confirmation notice. You can manage all of your students within your account on CE Massage. You focus on your business and students; Not business issues! By using Company you agree that you are 18 years of age or older and explicitly agree to the above agreements. Copyright © 2010-2019 The Massage Palms, Inc. DBA CE Massage ® & CE National ®. All Rights Reserved Worldwide. You do not need to be licensed or input your license number to create an account. Simply select the state you live in and type in a - or N/A. Whatever you input will be on your certificate. I consent to the required transactional emails and understand that I cannot unsubscribe from these. I consent to promotional emails and texts. I give my permission and consent to “Opt-In” or "Double Opt-in" for any country or jurisdiction, including any type of Opt-In Directive, any EU-US Privacy Shield, EU data protection law, Canada’s Personal Information Protection and Electronic Documents Act, or similar standards in any country, by viewing, initiating and/or transferring any information or any email or any type of data to Company.